Alison coaches riders of all ages and abilities as well as training horses on the flat and over fences to Medium level Dressage, Novice Horse Trials & Newcomers Showjumping. Alison teaches private lessons lasting 45 minutes and group lessons lasting an hour. Alison also offers complete freestyle design & choreography clinics with Nick Reeve. Alison coaches teams for BD TeamQuest and is helping riders to prepare for the Pet Plan Area Festival series as well as the BD Summer & Winter competitions. Riders are welcome to come to Solitaire HQ for training, overnight and day stabling is available. Please get in touch to discuss training with Alison and joining the Solitaire Riders Team. 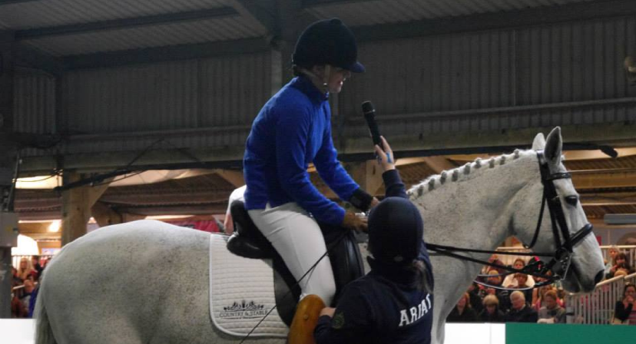 Alison coaches Para Rider Amanda Shirtcliffe at Your Horse Live 2014.